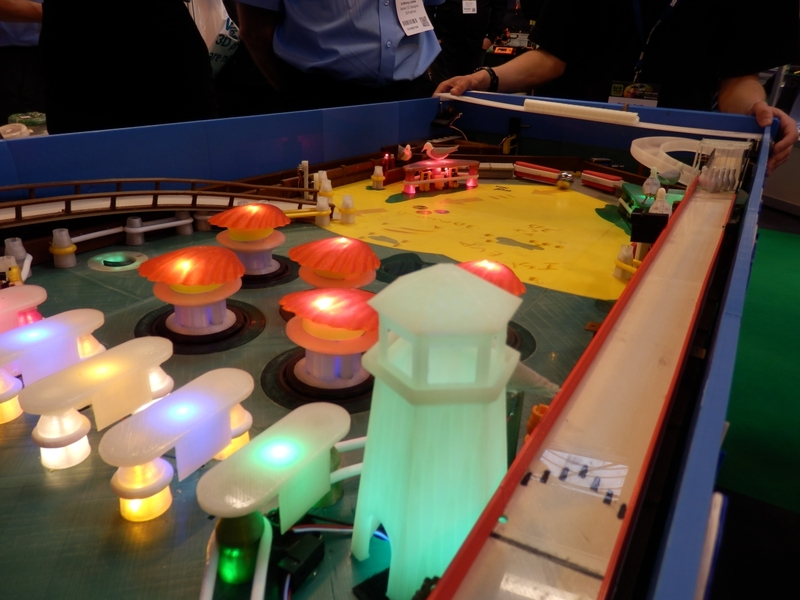 The TCT Show was back at the Birmingham NEC Arena. 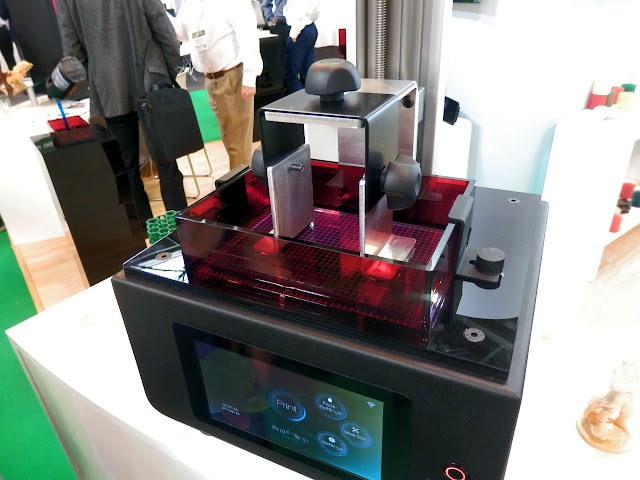 This is one of the very best 3D Printing exhibitions anywhere in the world, if you get a chance to visit, make sure you register for next year and give yourself plenty of time. 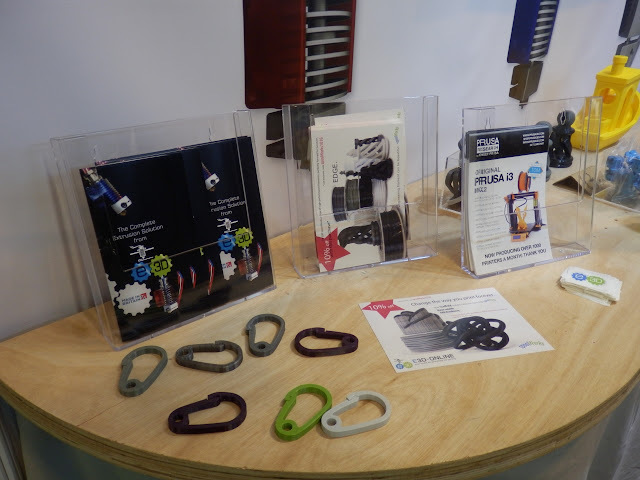 There are lots of suppliers, manufacturers and interesting people to meet and talk too. I was at the show again this year for both days, here is a brief rundown of some highlights from the show, it's by no means all. This was one of those shows that I wished I had taken more photo's. 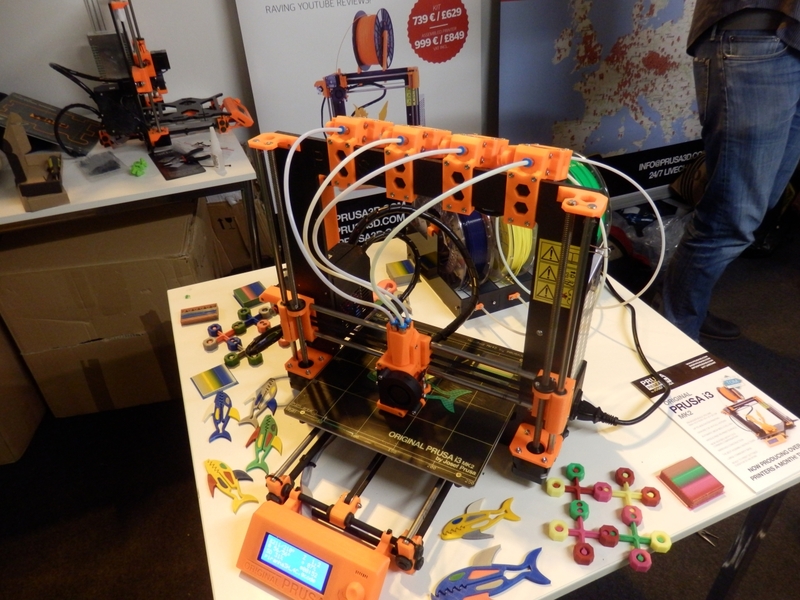 I did manage to speak to many different people and visited almost all the exhibitors this time around. This is also over on YouTube in HD, click here for my channel. Firstly E3D had doubled the size of their stand this time, one half showing off their range of Spoolworks filament materials, and the other dedicated to hot-ends, nozzles, the Titan extruder and many other goodies. 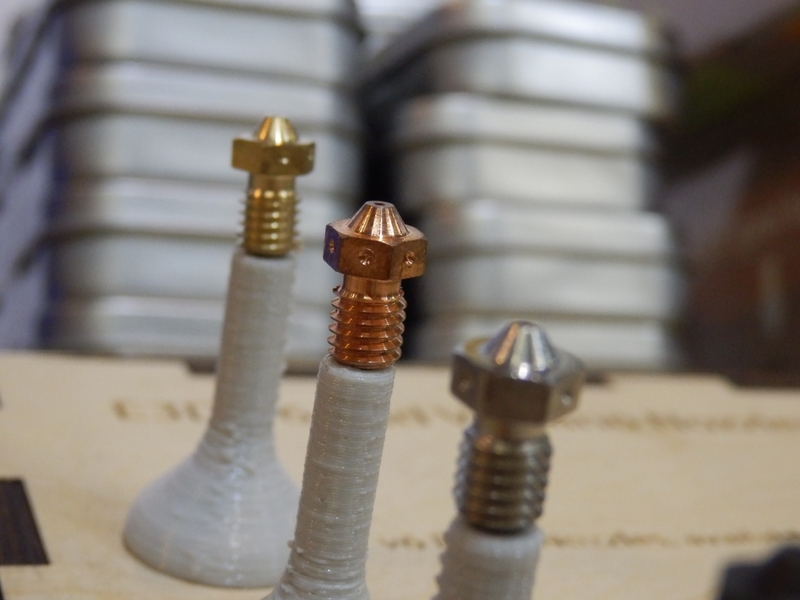 For anyone with a keen eye, you may have spotted that E3D had some copper nozzles on show. This may sound like an odd choice of material for a nozzle, but they will be appearing on 3D printers soon, so keep a lookout for more news. 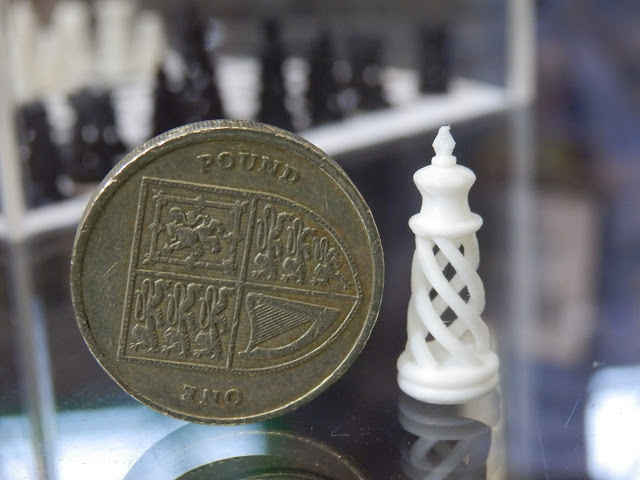 Talking of nozzles, the E3D team have been working on some very special 'tiny' nozzles for super small and detailed 3D models. 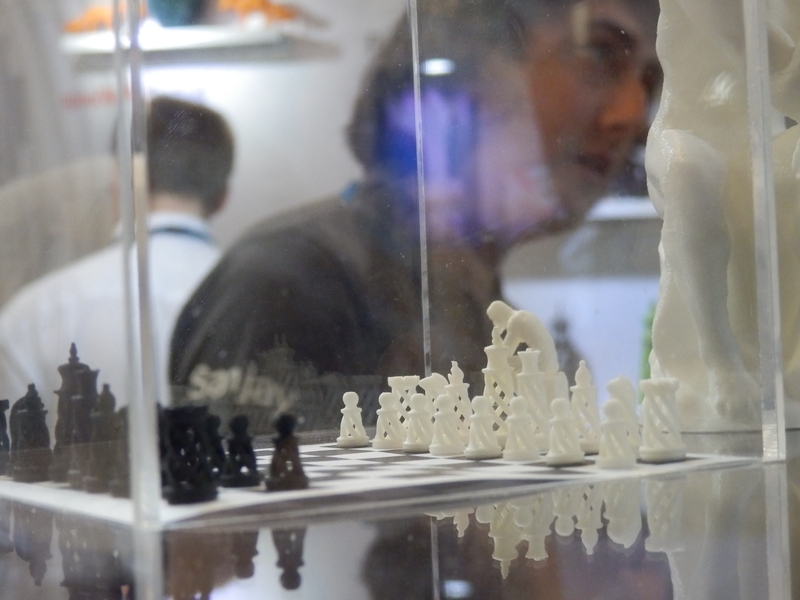 These were printed with a 0.15mm nozzle in ABS. You really have to see them to fully appreciate the level of perfect detail and stunning quality being achieved with these nozzles. 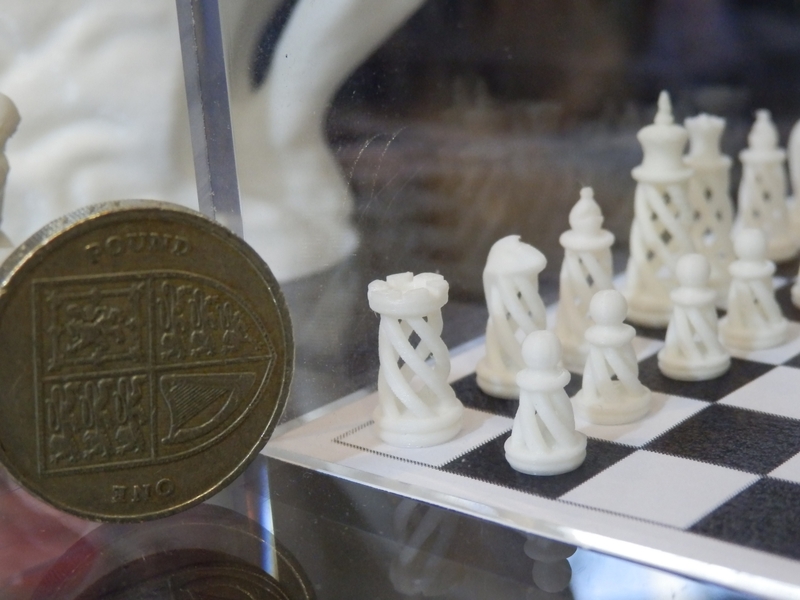 The detail in this chess set is astonishing for any 3D printing method, let alone FFF (FDM). 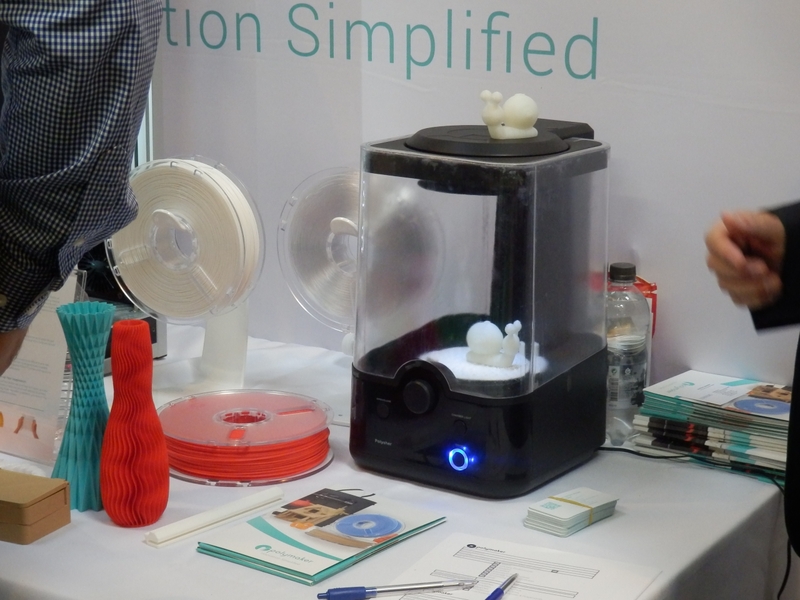 A spool of filament would last for many, many models at this tiny scale. 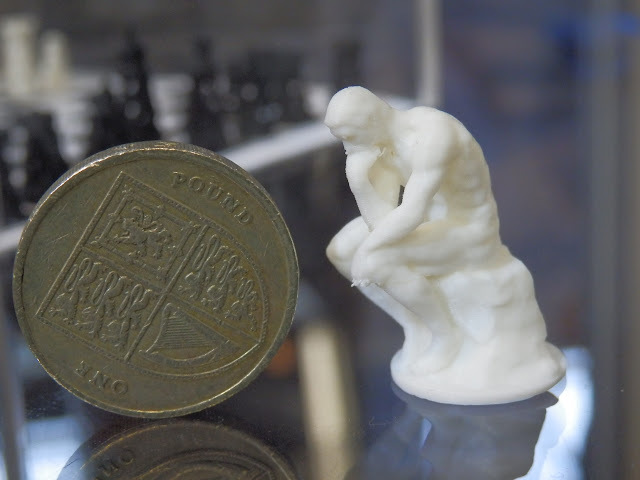 These were also printed on a standard Mendel90 fitted with an E3D V6 hot-end, nothing special - but with a dedicated high-resolution machine we could see even more capabilities for these tiny sized nozzles. 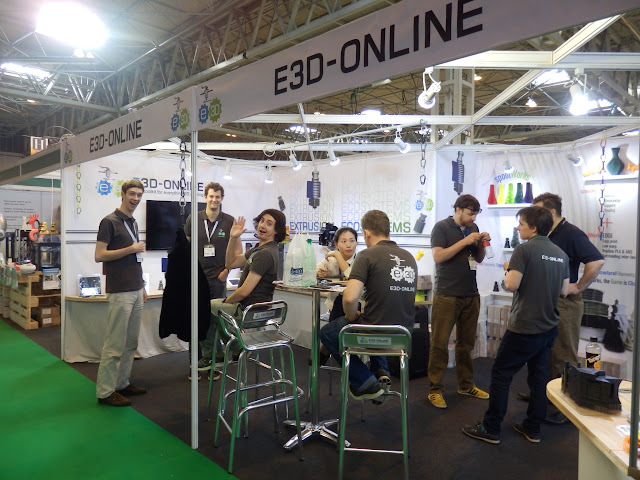 E3D has invested heavily in expansion of their business in the past 18 months, taking on more people in development and research, we should be seeing many more great things coming from E3D so do keep an eye out. 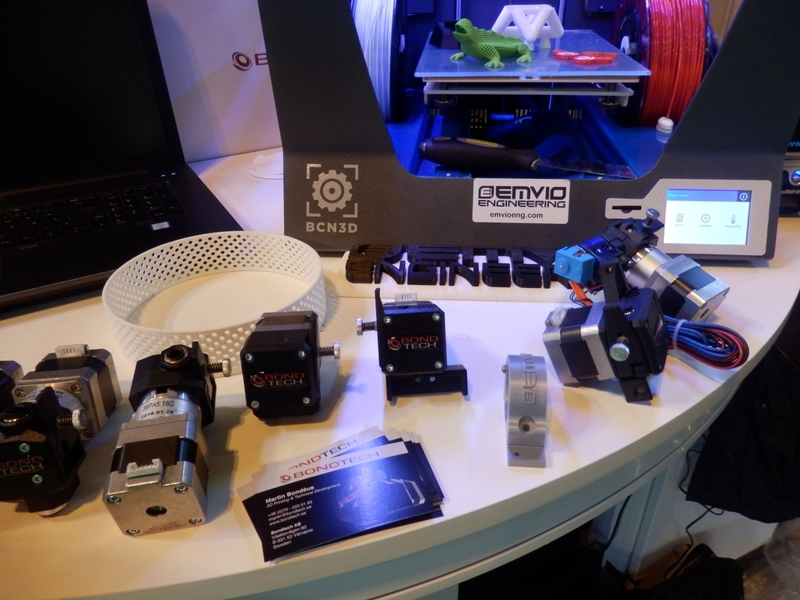 Emvio Engineering had a really nice BCN3D Sigma setup with custom mounted Bondtech extruders. 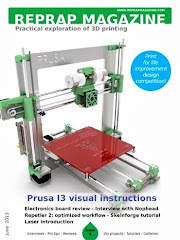 They also kindly sent me a set for fitting and feedback in my BCN3D Sigma 3D Printer. 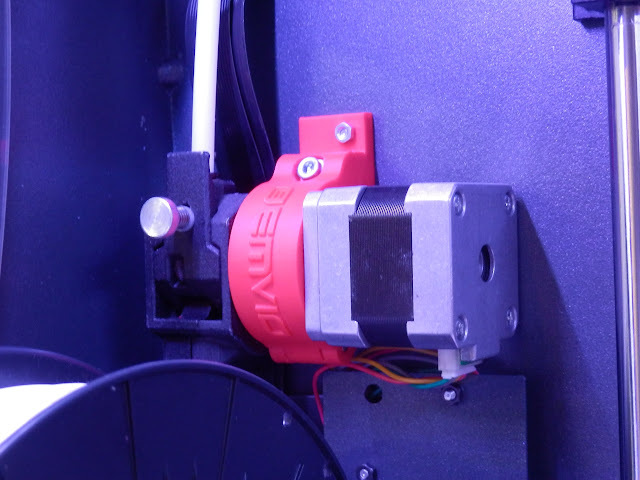 I'm doing a separate video and blog post on the entire process of fitting, setup and using the Bondtech extruders in a Sigma 3D Printer. 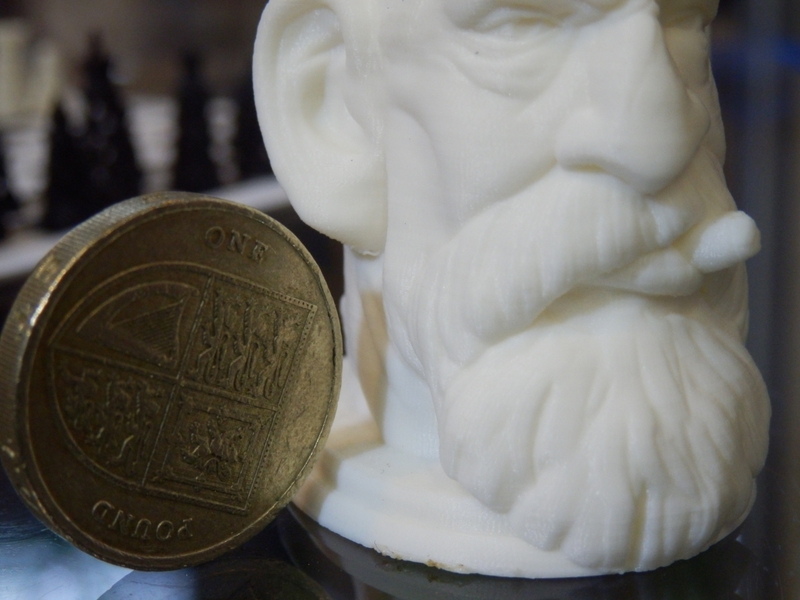 I'm really impressed with the upgrade and initial printing results. I'll post more as soon as I have completed more comparison prints and tested as many different materials. LulzBot was at their first international show for the TCT event. 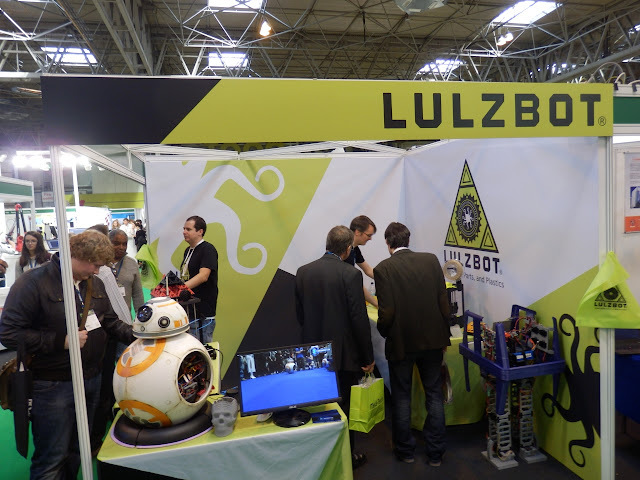 It was a total pleasure to talk to them and discuss all aspects of the LulzBot company, machines and amazing way they go about Open-Source 3D printing. LulzBot also sent me a TAZ 6 in November, so look out for more video's, blog posts and discussion about my experience of using the TAZ 6 3D Printer soon. Simple to setup right out of the box. After a few minor issues, I was up and running - with a quick Benchy3D print in Colorfabb nGen. 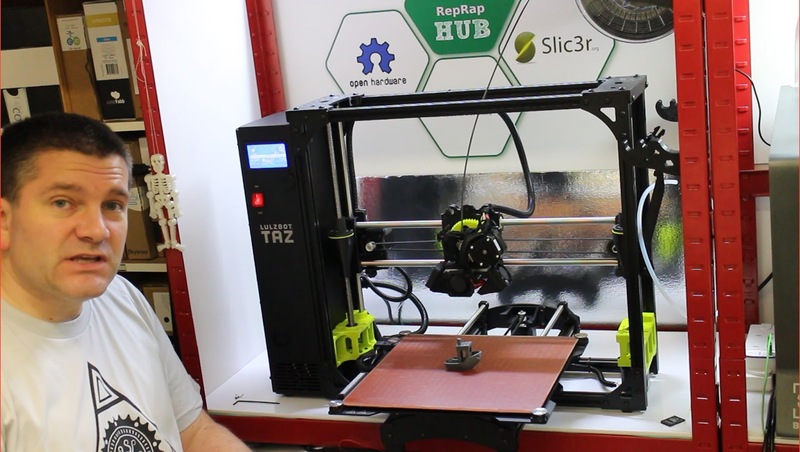 The TAZ6 is very busy printing all sorts of models in different materials (lots of Christmas) so look out for an update soon on setting up and using the LulzBot TAZ 6. This time at the show there was almost too many more companies to list, but here are a few more I spotted and talked to at the 2016 TCT Show. Hawk3DProto was another great base for me to use during the TCTShow. 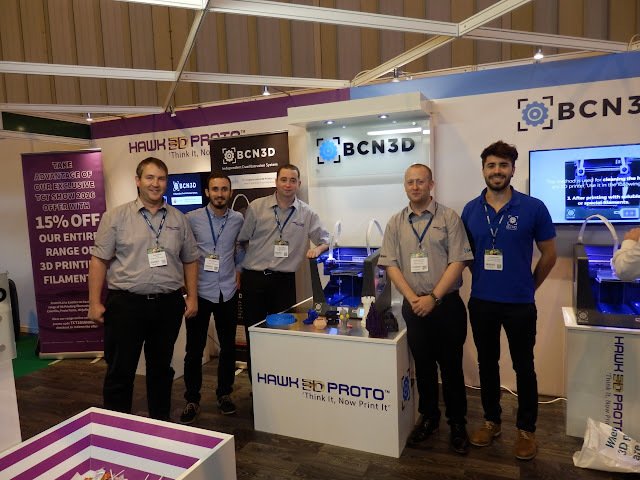 A big thank you to Ben and also all the team from BCN3D. 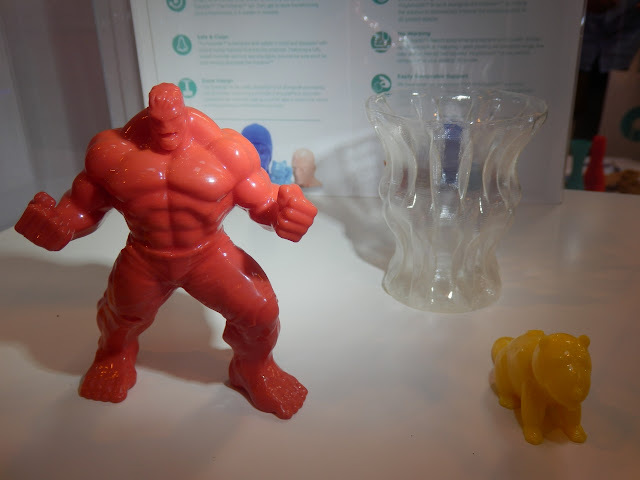 The team at 3D Filaprint had a great selection of materials, components and items to make 3D printing easier. We printed a lot more to add to the ever growing Halloween collection - Above includes many more objects that have been printed for Halloween over the last few years. Lots and lots of Christmas printing at the moment, testing out lots of materials, devices and even a very cool Laser engraver upgrade (for 3D printers) - more on these projects soon. It was really great to talk to so many people and companies at the TCTshow. If I missed you out in this post I'm sorry it was just such an amazing event this year, I spent almost all my time talking to people and not enough time taking pictures or video to share. I'll try to get in a few more posts and video's before Christmas, I still have lots and lots more to share, many more projects and adventures with all manner of 3D printing devices.